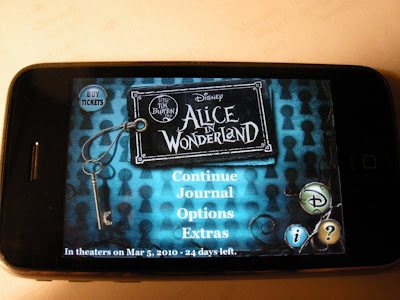 Thanks to Nancie for this tip: The Disney Alice in Wonderland iPhone "Lite" version is now available in the iPhone App Store. Unfortunately, the game play seems a little dreary to me. It's the kind of game where you walk and jump and do things to get past puzzles. What piqued my interest, however, was the splash screen. The "Buy Tickets" button on the top left does not currently get you to a place where you can get Alice in Wonderland tickets, but maybe sometime in the next couple of weeks? The most interesting thing here is the Journal. 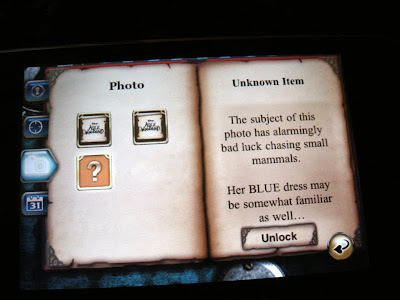 The Journal is basically a scavenger hunt where you have to collect a number of game-world and real-world things. When you collect items, they become unlocked. So for example, in the GPS area of the Journal, you actually have to travel to place listed and unlock it there. 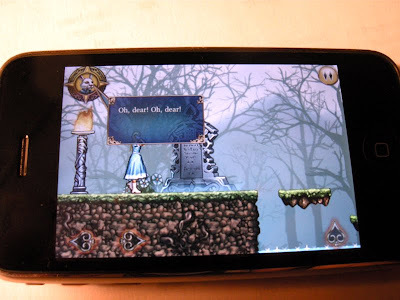 The game uses the GPS built into the phone to unlock the item. There are four categories of items to unlock. The first is in-game. There are three items in this screen. It looks like as a person plays the game, they can unlock these. 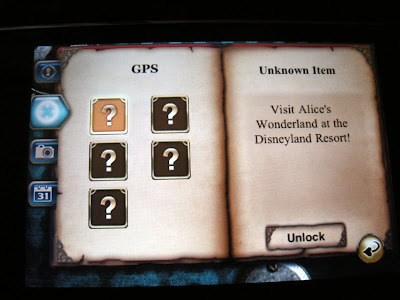 The GPS section has five items to unlock, and a person would have to do a lot of traveling to get them all. 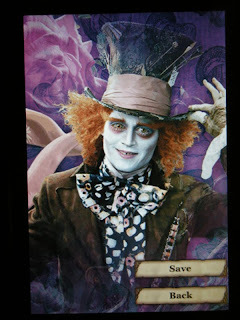 Needed are visits to the Alice's Wonderland at the Disneyland Resort, the Tea Party in the Magic Kingdom at Walt Disney World, Alice's Curious Labyrinth in Disneyland Paris, the Tea Party in Hong Kong Disneyland, and Alice's Tea Party in Tokyo Disneyland. The photo section requires that you upload the hinted-at photos to your iPhone or take pictures of them using the camera. It's pretty obvious which ones you need from the hints. I already got two of them. Last, there is a date section, where you have to wait for the correct calendar day to activate each item. 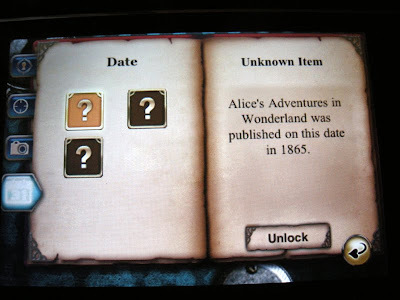 The first is the date in 1865 that Alice's Adventures in Wonderland was published. The second is what date the Disney movie was release in 1951. 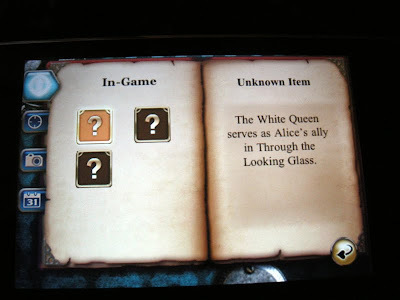 The last is what date Tim Burton's Alice in Wonderland is being released. 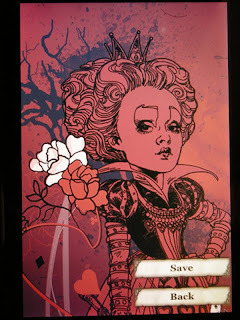 Here are the two wallpapers I unlocked in the photo section.